Adam is your single point of administrative contact for your lease throughout your relationship with First American. 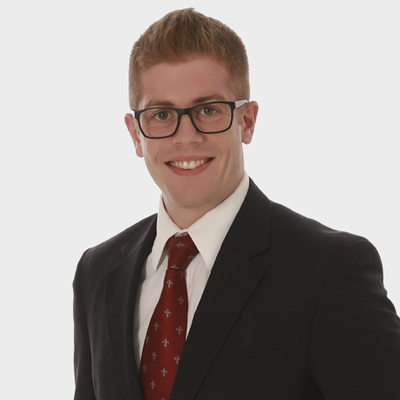 Adam holds a Bachelor's degree in Business Administration from The College at Brockport, State University of New York, as well as an MBA from the Rochester Institute of Technology’s Saunders College of Business. Prior to joining First American, he worked for Wegmans Food Markets for 7 years while he earned his degrees. Adam currently resides in Ogden, NY with his wife, Sydney and their chinchilla, Chili. He sits on the Board of Trustees for the Ogden Farmers’ Library where he acts as the Treasurer. In his spare time, Adam likes to read, ride his unicycle, and seek out adventure.